A shoulder rig holster offers the enhanced weight-bearing ability typically required when carrying heavier weapons. It also provides better accessibility for individuals who sit behind the wheel of a vehicle such as armored truck drivers, bodyguards or mobile security personnel. 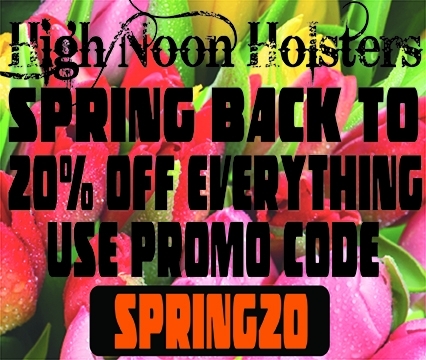 As a leading producer of innovative sidearm holsters for more than 20 years, High Noon Holsters can furnish you with our Under Taker model, an expertly crafted shoulder rig holster specifically designed to fit your weapon. Whether you need an FNX 40 shoulder holster or a product for carrying any other leading handgun model, you've come to the right place! The Under Taker is a leather gun holster that is manufactured with a special "Made or High Noon Holsters Only" full-grain leather which gives it a luxurious look. You can see the beautiful grain jump out at you in the close-up pictures. The Under Taker is molded to the gun you order it for. 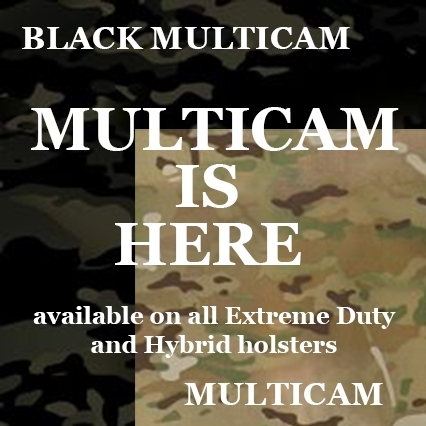 This holster is quickly becoming the choice of professionals worldwide. It is the same rig as our Under Armor (a stocking Item) except for the detail molding. The system is built from premium saddle leather or horsehide and is shipped with holster, harness and double ammo carrier. One of the key features of our shoulder system is the Unique diamond-shaped swivel back plate, which allows all four points to pivot independently resulting in comfort and a precision fit for all body types. Additional features include precision-detailed molding, a reinforced thumb break, covered snap to protect the gun's finish and a tension screw for adjustment of the draw that doubles as a trigger stop. The open muzzle design accommodates both standard and long barrels and minimizes printing through the jacket. The double ammo carrier has four individual tension screws for adjustment of the magazine draw. Components may be interchanged on the harness enabling the owner to use the Under Taker with a variety of handguns. The Under Taker is available in right or left hand, tan, black or natural finish in cowhide. In horsehide, black or natural finish. (Tan Pictured) Optional tie downs can be purchased separately. If you are getting lined, we recommend doing both holster and magazine side, for a more uniform look. Impeccable quality has been the High Noon Holsters hallmark since we started our company in 1997. 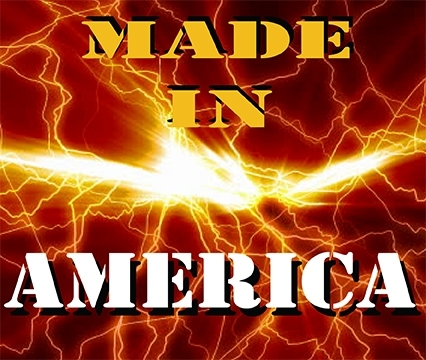 We're proud to be an American manufacturer that makes 100% customer satisfaction our top priority. If you're not happy with your custom-made shoulder rig holster for any reason, we'll do whatever it takes to rectify the issue. If it's still not right, you can return the item within 14 days of receipt for a refund — no questions asked. 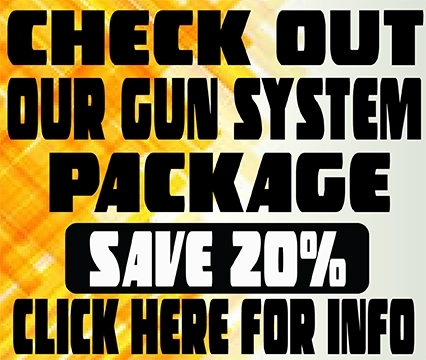 At High Noon Holsters, we understand that most gun owners want to find what they need quickly and complete their transactions seamlessly. Our redesigned e-commerce site meets both criteria! You'll be able to compile your product wish list with maximum speed and minimal effort. When you're ready to check out, you can do so swiftly and securely using your payment method of choice. Our options include American Express, MasterCard, Visa, Discover and PayPal. The Under Taker is made to order or in other words a non-stocking item. As such, it takes a little extra time to craft the shoulder rig holster to your specifications — each order typically takes a couple of weeks. However, we do have a RUSH SERVICE available if you do not want to wait. This service can reduce the shipping time to only 7-10 days! 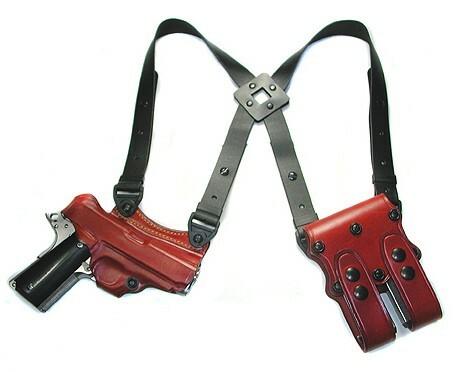 Order Your Under Taker Shoulder Rig Holster Today! Discover how the expertly crafted Under Taker from High Noon Holsters can alleviate the burden of carrying a handgun. Place your order today and feel free to contact us by phone or email if you have questions or require assistance.